Located in the heart of the beautiful Shenandoah Valley of Virginia, Morris Insurance & Financial has been serving the needs of our clients since 1944. 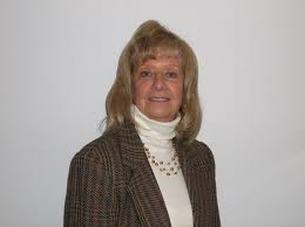 Our agency is licensed in Virginia, West Virginia, Maryland, North Carolina, Ohio, Arkansas and Washington, DC and we strive to provide each of our clients with superior service and knowledge so they can feel assured that all their insurance needs are take care of and attended to in a timely, professional manner. Located in the central Shenandoah Valley, in scenic Broadway, Virginia, Morris Insurance & Financial is easily accessible and are always there for our clients. If you are looking for a competitive insurance quote, or have an insurance question, give Morris Insurance & Financial a call today! Morris Insurance & Financial was started in 1944 by Fred Black under the name Fred Black & Son Insurance. After Fred's son, Bob took over the Agency, the name was changed to Black Insurance Agency. 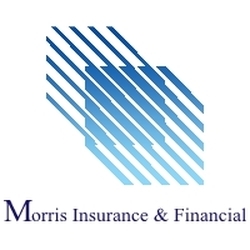 In 1996 the name changed to Black & Morris Insurance & Financial Services, and in 2012 the current name, Morris Insurance & Financial was created. Based on the belief that service to our clients is the most important aspect of what the Agency can do for you has helped Morris Insurance & Financial become a staple in the Broadway community. Over the nearly 70 years, the building in Broadway has had many changes and additions with the most major occurring in 2007 when a second floor was added, creating seven new offices. But the Agency's goal of serving our clients remains the most important of what the team strives to accomplish. "Our clients are the most important part of our agency, and it is our goal to treat them like they all deserve. We strive to serve all of our clients with the utmost respect and care that they deserve so they can each know that their insurance needs are taken care of in a responsible, careful manner." Morris Insurance and Financial is licensed to do business in Virginia, West Virginia, Maryland, North Carolina, Ohio, Arkansas and Washington, DC. The information on this site is to be considered a solicitation of business only in the above listed states and locales.